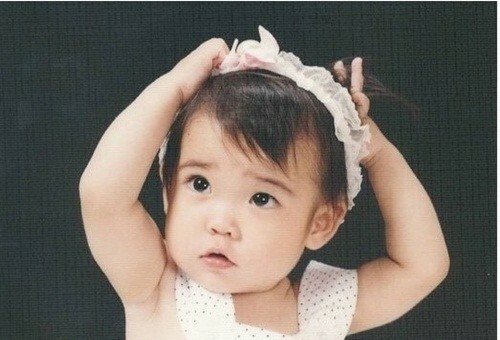 IU released a teaser image for her latest comeback that is a reminder of her star power in her baby photo. IU recently posted a new teaser image for her upcoming album Palette, and it’s been catching the public’s attention because it looks exactly like a photo of when IU was a baby! In both pictures, IU is shown striking the same pose, with her hands behind her head grabbing some of her hair as she stares at the camera. Palette is set for release on April 28 and will be her first album since 2013’s Modern Times. The album’s track list was recently revealed and features some of Korea’s biggest stars. Check out the similarities below! IU shows off her youthful beauty, recreating a photo from her childhood. IU’s a professional at this pose, having done so for photos since she was very little.